Australian five piece 5 Seconds of Summer release their third studio album ‘Youngblood’. Released on the 22nd of June this year via Capitol, the album is very un-familiar from the self-titled record released back in 2014, as well as the 2015 follow up that were full of pop-punk energy. The band however, have transitioned into a dance-pop sound with this new album, showing off the maturity and growth of the boys, musically and lyrically, this being their first release in three years. 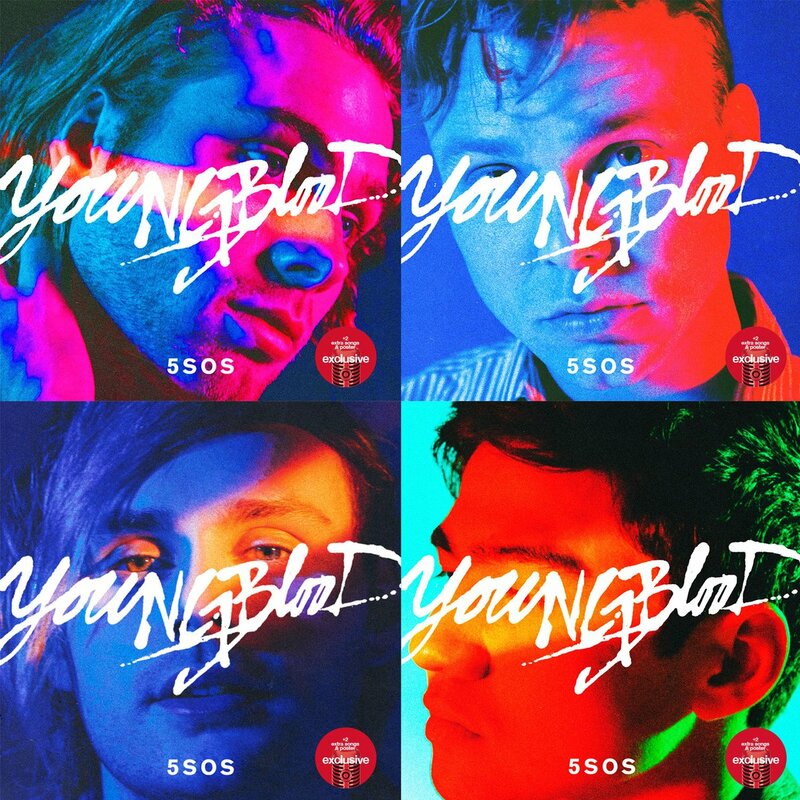 Opening up the album is the title track and first single released ‘Youngblood’. Immediately we are greeted by Luke Hemmings vocals, a first since 2015. The song is a very calm introduction to the album allowing fans to ease in with this new style and sound. ‘Youngblood’ is a chilled yet infectious song with an up-beat, catchy, gang vocal chorus and timing kept with a finger click. Although missing the pop punk riffs fans originally fell in love with, this track is a solid start to the album. ‘Want You Back’ is the second track and second single from the summer release. A short piano intro is followed by Hemmings Melodic and occasionally falsetto vocal, accompanied by a catchy guitar riff and yet another click. This being the songs solid structure throughout, it’s another very simple yet catchy song in the bands catalogue. ‘If Walls Could Talk’ and ‘Better Man’ maintain an upbeat tempo coming down to a more relaxing vibe with songs like ‘Why Don’t You Love Me’. The album stays consistent with other songs such as ‘Monsters among Men’ but changes just one track later with ‘Meet You There’. This track starts off familiar to the rest of the album, but explodes with a fast, drum and bass like chorus. Definitely a change-up that, in my opinion, was needed. Although admittedly the band seem to have lost their rock star like energy, it is obvious they are trying to attract a new crowd. This album shows a whole new side the 5 Seconds of Summer. Proving themselves not only musicians capable of creating an incredible pop-punk album, but also capable of creating a well-constructed, well written pop album.